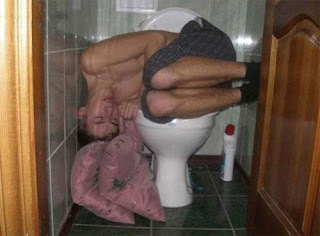 Either he had one too many beers or drank some of the toilet bowl cleaner? I hope it was beer that did him in. Either way at least someone gave him some pillows.